After 37 years of working with glass, I still walk into the studio with eagerness and anticipation. Glass, by its own nature, is an incredible and ideal material to work with, because many of its best qualities are present before creative ideas are expressed in it. The possibilities it offers are never ending. 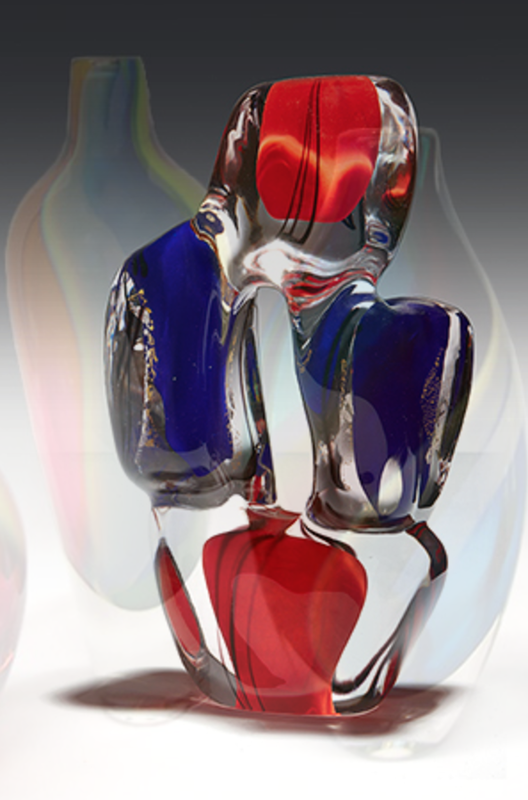 As I have worked with glass over the years, I am impressed with how much I continue to learn. The techniques and applications not only seem limitless, the fact has become painfully obvious that I will run out of time on earth before I run out of ideas for creative expression in this material. Each time I pick up a blowpipe, I pursue difference and personal perfection in form and design. I enjoy the challenge of change, ever striving to learn new designs, techniques, and approaches in glass. This is my driving force. There are times when I am so inspired by a day’s work that I can hardly wait to return to the studio the next day to see my results and begin working again. Glass is perpetual that way. Each day with it, each experience with it, stimulates ideas and motivates me to further test, expand and explore my abilities. During these years, I have come to know many members of the glass blowing community. I thoroughly enjoy being part of this vast group of such diversely talented and creative people. 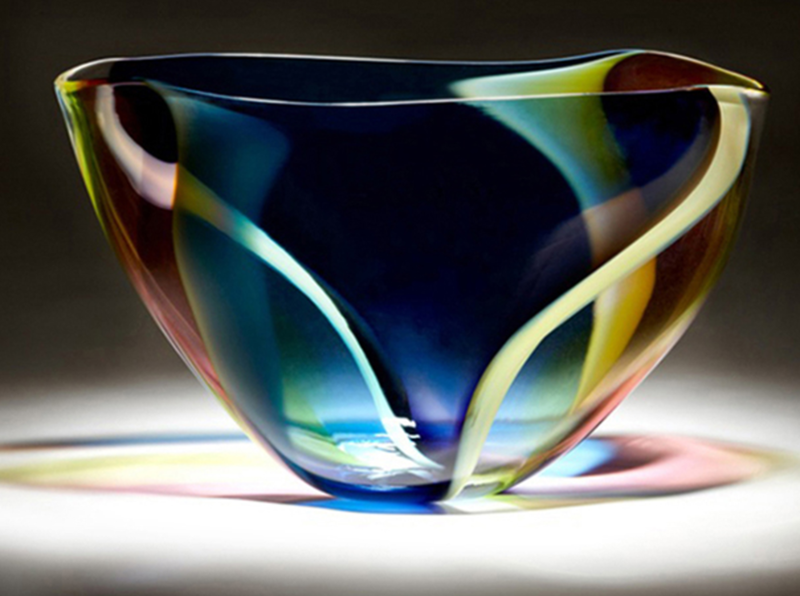 I greatly enjoy the experiences and richness my association with glass has brought into my life.